An error message “File or directory is corrupted and unreadable” is being seen quite often and users are pretty irritated with this error. Many of them don’t know what causes this error. So first we’ll look at what can be the causes of this error. Search cmd from Start menu. 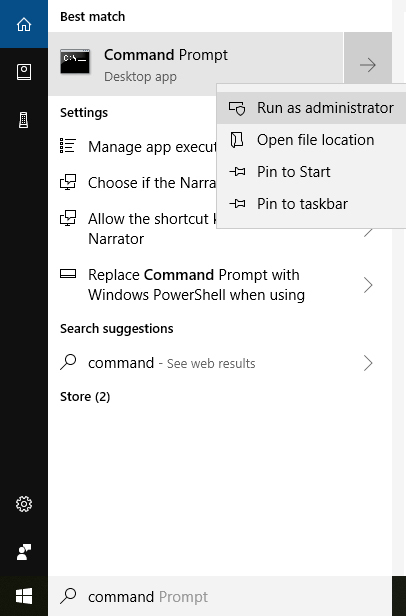 Right-click on Command Prompt and Run it as administrator. 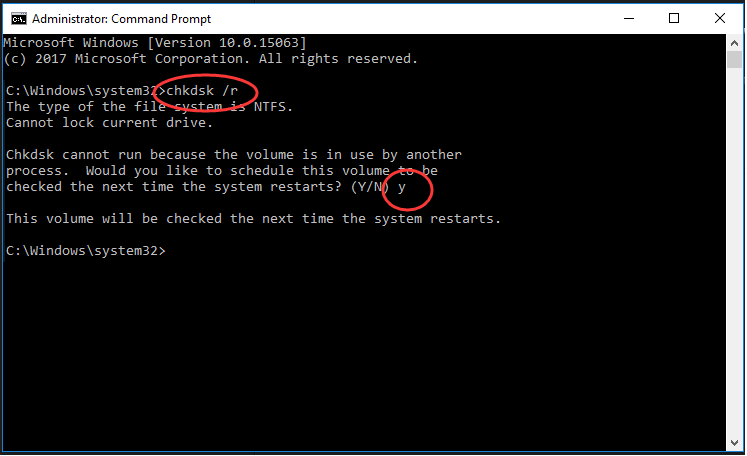 Type chkdsk /r in the open Command Prompt window and press Enter. Enter y, when asked to schedule checking disk. Close the Command Prompt window, and restart your PC. Then it will start checking disk and fix the errors detected automatically. 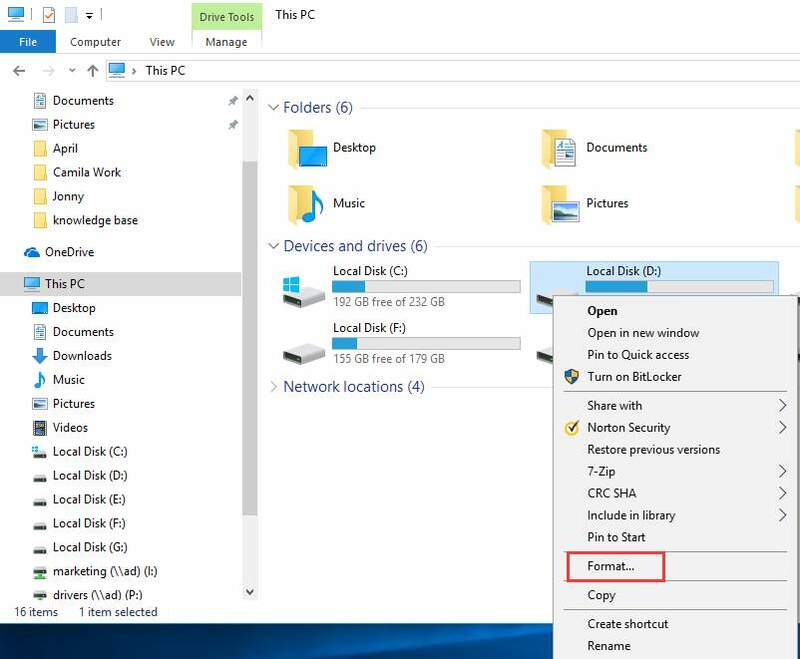 Before you execute this step, make sure your important data is backed up somewhere because after the format, all the data will be erased from your drive. 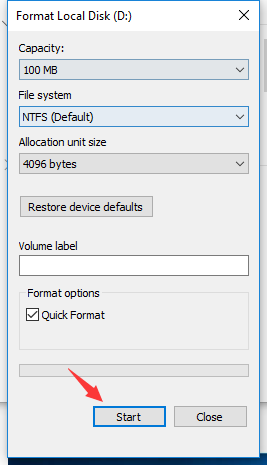 Right-click on the problematic drive and click Format on the dropdown menu. 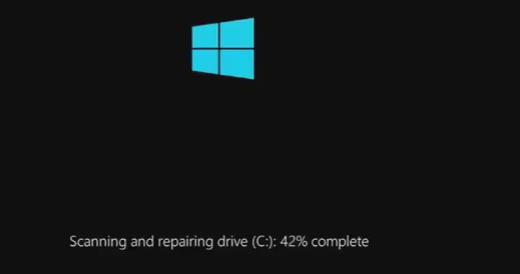 On the pop-up window, click Start button then Windows will start formatting the drive.